The Uber tax is coming. But if Gov. Phil Murphy really wanted to generate a steady supply of revenue for the state’s coffers, he may want to consider taxing U-Haul rentals and moving vans instead. The exodus of the middle class from New Jersey got a shot in the arm Tuesday when Murphy presented his first budget to a legislature dominated by his own party, yet reticent to go along with many of his policy proposals. 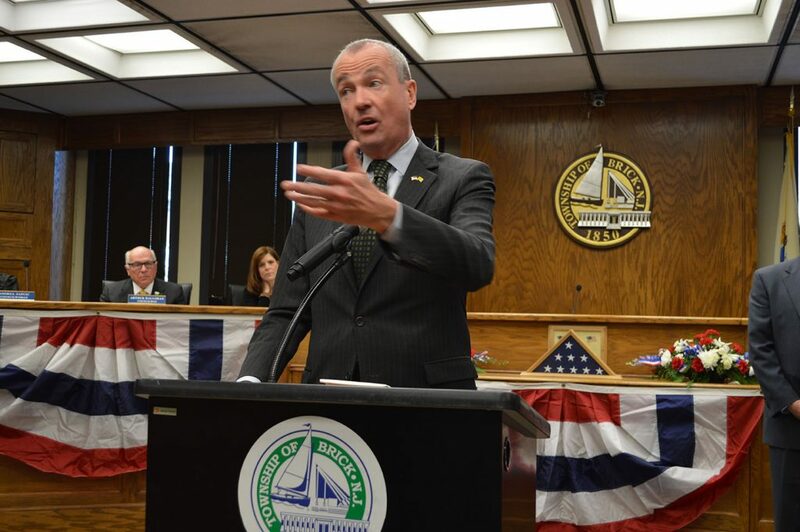 The budget proposal, which hikes state spending by $2.7 billion – more than 7 percent – and raises $1.5 billion in taxes, will doubtlessly spur debate about Murphy’s views on illegal immigration, marijuana legalization and the overall progressivist social movement. Our view: for now, let’s reserve judgment on wedge social issues that do little more than divide us. Instead, we have to save our state before it descends into a chillier version of Venezuela: a body politic with all the potential in the world, but reduced to bastions of rich and poor with little opportunity for those caught in between due to dysfunctional governance. But first, let’s take a moment to blame ourselves. Only a third of the state’s electorate even bothered to cast a vote in November’s gubernatorial election. If we set aside the ballots of single-issue voters who wanted pot legalized and public employees who essentially voted themselves raises after Murphy kissed the collective ring of the state’s Big Labor kingpins, candidate Murphy, numerically, has seemingly little in the way of public support. The problem: the masses didn’t show up in Election Day. Even if the election had been closer, perhaps the governor would not be so emboldened – even if just in his own psyche – to propose the first of four budgets that might make Jim Florio or Jon Corzine blush. New Jerseyans may have favored a Democrat after eight tumultuous years of the Chris Christie administration, but we didn’t elect a gritty, blue collar Democrat who is accountable to everyday New Jerseyans. We elected a man who parachuted into the state just a few years ago and made enough promises to enough party bosses and union leaders to prevent Democrats like Sen. Steve Sweeney or Richard Codey from even mounting a primary challenge. Murphy is accountable not to the taxpayers, but to those he promised goodies at taxpayer expense. The Murphy budget is an all-out assault on the middle class. The tentacles of Trenton’s taxman will reach as far as levying a hiked sales tax on rideshare services like Uber, and even Internet purchases that originate from out-of-state vendors. Even the timid sales tax relief provided as part of a deal to pass the outrageous 23-cent gas tax hike would disappear under the proposed spending plan. And $100 million worth of funding to fight the opioid addiction epidemic – which is destroying a generation of suburban New Jerseyans – would be off the table. Beyond that, raises to unionized public employees will likely grow sky-high as hand-picked arbitrators will revert to the old practice of handing out salary increases above and beyond those received by the dimming private sector. Any chance of curtailing the employees’ Cadillac health benefits, which often reach more than $30,000 in value for a family plan, is virtually dead. At the same time, the budget “closes loopholes” for corporations – political speak for a tax increase on the few major employers who are hanging on. How will this play out? Murphy is counting on the wealthy to pay a surcharge on the so-called “millionaires’ tax.” Indeed, contrary to media portrayals, New Jersey’s millionaires’ tax never went away under Christie. A previous surcharge was simply not renewed. But if they didn’t vote at the ballot box, New Jersey’s wealthiest residents have previously voted with their moving trucks. The state experienced a net loss of $35.2 billion from 1993 to 2016, a study of IRS data showed, and there wasn’t a single year that the state replaced the revenue it lost with revenue from new residents moving in. About $18 billion of that wealth went to Florida, with Pennsylvania in second place, purloining more than $4 billion. After a new crop of wealthy and upper-middle-class New Jerseyans – who are less likely than ever to be tethered to an office in New York or Philadelphia due to mobile technology – leave, who will be there to pick up the tab for the spending that is being proposed under the assumption that they will stay? No politician will overtly raise the income tax on the middle class, but history has shown that middle class residents pick up the slack through cuts to state aid in their hometowns and school districts (which they must make up themselves), unfunded state mandates, surcharges on government services, and shifting costly responsibilities to municipal and county governments that result in higher property taxes. It is no wonder that the largest group of residents moving out of New Jersey are not millionaires, but millennials beleaguered by the prospect of never being able to obtain a good job, buy a desirable home and have enough cash left over for a few simple pleasures in life. Their parents are leaving, too, as we chase out the very residents who utilize the least number of government services. New Jerseyans are about to learn, the hard way, that elections have consequences. For working families living paycheck-to-paycheck, higher fuel prices, rising property taxes and an increased and expanded sales tax will undoubtedly make some choose between putting food on the table or keeping their home. Their most likely solution will be to move away. For many, it’s no longer worth the fight, or waiting for a fiscal Superman to arrive and bring New Jersey’s cost of living into relative parity with the rest of America. It’s even worse for those in Ocean County, where there is little in the way of high-income earning potential and seemingly no light at the end of the tunnel for the resulting social ills that come with financial stress – substance abuse, crime and a deteriorating tax ratable base as shopping centers sit empty beside the highways and homes fall into foreclosure and disrepair. If you’re not within commuting distance to Wall Street, is there truly any hope to attain the lifestyle most people want for their families? Perhaps in the next election, given the outcome of this most recent one, voters will exercise their right to cast a ballot. But for thousands of taxpayers, those ballots will be cast in a state other than New Jersey.